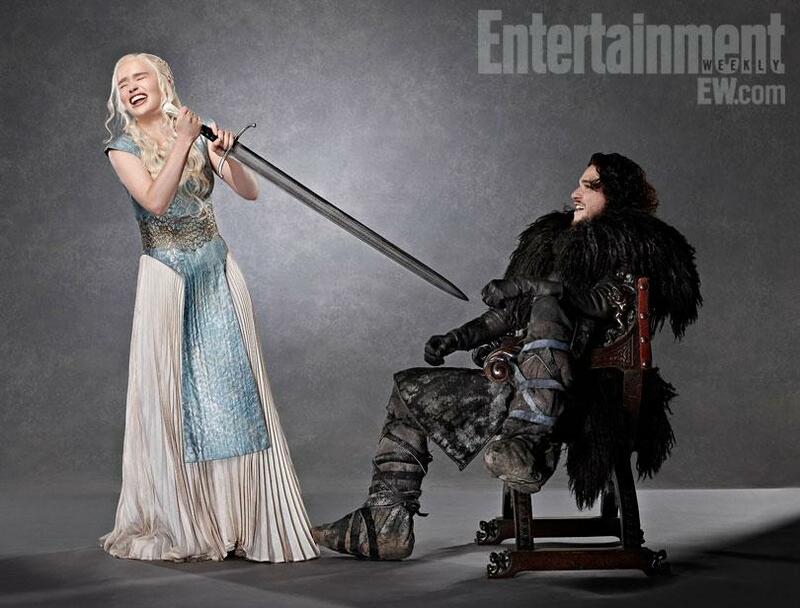 Jon & Daenerys for EW. . HD Wallpaper and background images in the Jon & Daenerys club tagged: jon x daenerys jon snow daenerys targaryen game of thrones emilia clarke kit harington entertainment weekly. This Jon & Daenerys photo might contain polonaise, kirtle, and surcoat.